Kicking off the New Year in style, Umbro have given us another colourway for their latest Stealth Pro II football boots – looking resplendent here in White/Silver/Red ! The Umbro Stealth Pro II came a bit out of left field for many, launching less than a year after the original Stealth Pro – but controversy aside, it looks like many of the Stealth-wearing Pro’s have also taken a shine to the revamped control football boots, as we’ve spotted Jonas Gutierrez , Phil Jagielka and Gary Cahill all giving them a run out at some point or another. 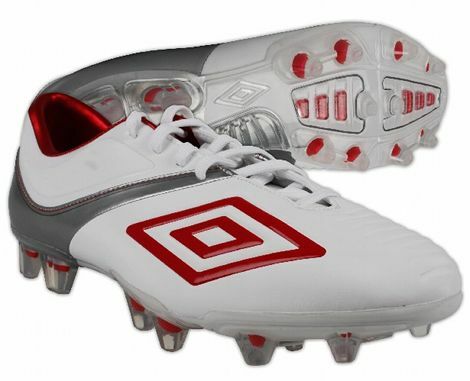 It’s interesting to see that Umbro have opted for a White/Silver/Red colourway for their second Umbro Stealth Pro II‘s – as it definitely has the same feel as one of the original Stealth Pro’s launch colourways. As for how it looks on this revamped design, we’ve got to give credit where it’s due – it looks pretty sharp! 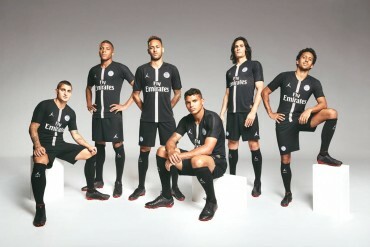 The silver line across the ankle up the laces is very reminiscent of some of Nike’s older design (especially the Vapor V) and the Metallic Red is very sharp in contrast to the clean white. 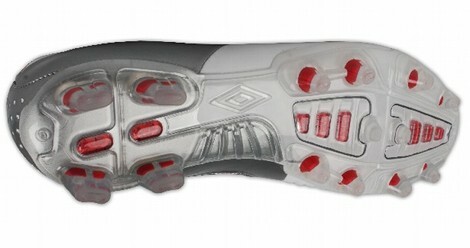 Having the big Umbro Double Diamond in the same colour as the sockliner and studs also seems to stop it looking as large and garish – many of the comments on the White/Blue/Bronze Umbro Stealth Pro II seemed to indicate that many of you thought the bronze Umbro logo just looked too big on boot. This latest' colourway definitely has us excited again for Umbro’s latest football boots, and they’re a great match for the England Kit too – which is definitely no co-incidence given the amount of English Umbro Stealth Pro II wearers! 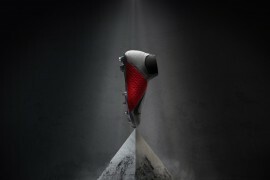 What do you reckon to this sharp paint-job for the Umbro Stealth Pro II? Use the boot-o-meter and the comments to get your voice heard!! Next articleMESSI’S ADIZERO PRIMES STOLEN! I still believe they should’ve kept the external heel counter and carbon fiber sole. As an owner of the previous model I can say that it brought a feeling of great stability and secure feel on the pitch.